Bengu Shail, who was born in North Cyprus, was diagnosed with Acute Lymphoblastic Leukaemia in September 2009. 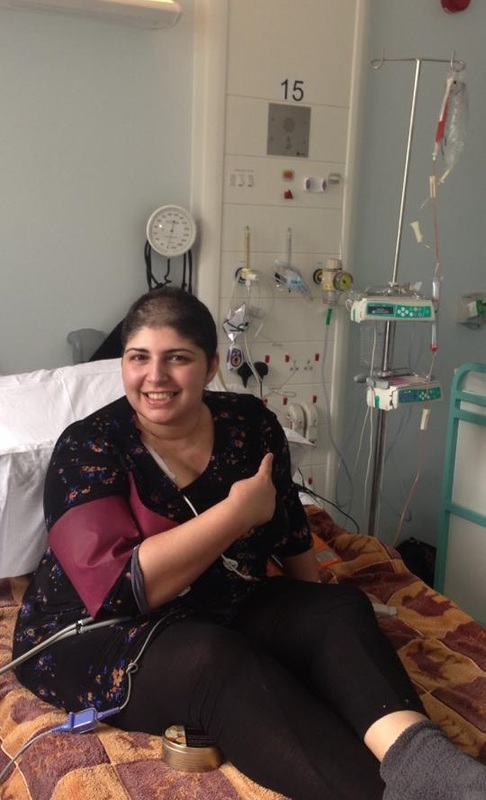 After two years of intensive treatment, she went into remission and since then she has spent her time helping other cancer patients at Macmillan Cancer Support in her role as a Case Studies Officer. However, in October 2012, Bengu received the devastating news that her leukaemia had returned. Now it meant that Bengu’s only hope for survival was a bone marrow transplant from a stranger willing to donate his/her bone marrow. eekend with the view to save my life and they are sitting in the freezer now at The Royal Free! I don’t know much more than that; but whoever he is, he obviously didn’t wake up randomly to do it. Someone or something inspired this stranger to take out a few hours of his day to save my life. Maybe it was you? Either way, I can’t begin to describe how emotional I am to be here today after campaigning for so long. My donor has not only given me my dreams back but he has given me precious more time with my family. However, without the monumental love, support and blood, sweat and tears from so many people and charities who have supported this appeal for so long, I never would have had the will or courage to get to this point. Words will never be able to describe how thankful I am that so many people around the world heard my story and wanted to help me make a change. It is YOU who kept me going and reminded me I had so much to do. As you can imagine, I’m very poorly at the moment and full of lots of drugs so I will take a while to respond to your beautiful messages. While we are celebrating this miracle today, I know that there are another 30,000 people in the UK praying to be in my position and it breaks my heart. What made me a lucky one when so many others are in pain? Please, if you too want to make cancer a thing of the past, get on the register today whatever nationality you are. Tell your friends, organise an event at work or your local church, mosque etc. Go online and learn. Spit, swab or give a bit of blood. Do what you can because it’s very easy, we all have a responsibility to protect our future generations and we can ALL make a difference. We now have three registers in the UK for you to Google. See Anthony Nolan if you are 16-30 and want to send off for a free spit kit online today. If you are aged 18-49 you can find your nearest blood donating session where you can give a sample of blood and get on the NHSBT bone marrow register – www.blood.co.uk and if you are 18-55, you are not too old to make a difference. You can sign up for the brand new deletebloodcancer registery www.deletebloodcancer.org.uk for the UK or www.deletebloodcancer.org for worldwide, where you can send off for a swab stick and get on the register today by donating £40. So miracles do happen and we can only wish and hope that there are more donors out there to help those other people who desperately need a bone marrow transplant. Good luck Bengu and all good wishes for a happy future.